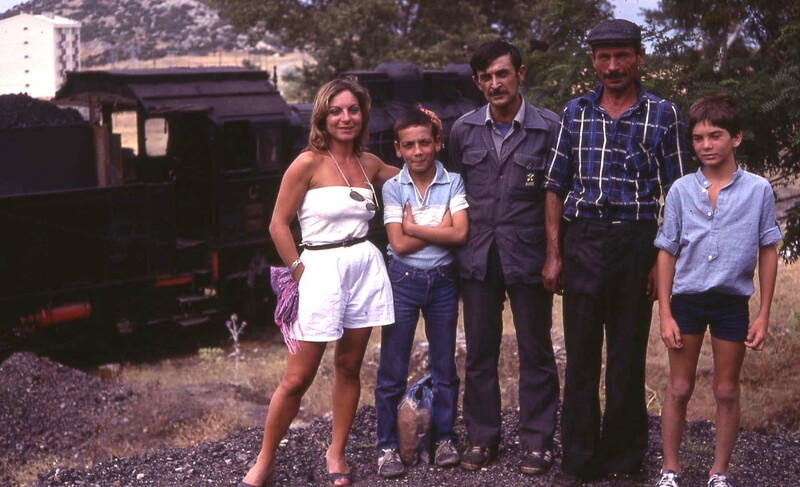 Many enthusiasts who were chasing overseas steam in the 1980s and early 1990’s will remember Meli – the Turkish girl who organized, and then led, our charter steam trains on TCDD metals from the legendary “Skyliner Express” of October 1983, onwards. Her determination and organisational ability when arranging the tours we ran as “World Steam Tours” with David Thornhill, were unsurpassed in the overseas steam railway tour business, and in fact she went on to become one of the most successful specialist tour operators in Turkey, taking small groups – mainly from the U.S. – to visit all the antiquities in her country, and indeed to other neighbouring countries in that part of the Middle East. Sadly a little more than a year ago, she was diagnosed with a brain tumour. It was operated on, apparently successfully, and she did appear to be recovering although her speech was painfully slow. Sadly, however, the improvement did not last, and she died in March 2017.